* Also in Morretes City this cam shows a hummingbird feeder. 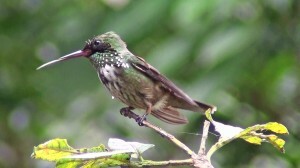 More than 15 species of birds show up to drink. 1 Live Cam - This camera shows a bird feeder in the city of Morretes, near the coast of Paraná. Southern Brazil. Live Cam 2 - Also in the city of Morretes, this camera shows a trough for hummingbirds where more than 15 species of birds come to drink. 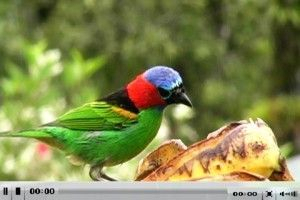 3 Live Cam - This camera is in Itamambuca EcoResort in the city of Ubatuba, Sao Paulo North coast. 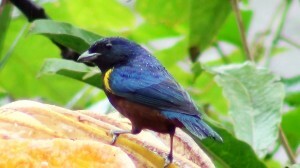 Southeastern Brazil. 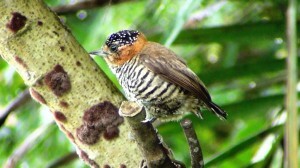 Live Cam 4 - Maintained by the World Land Trust (WLT) this camera is in Buenaventura Reserve, El Oro Province in Ecuador. Live Cam 5 - Hummingbird Nest. Maintained by "Pungh", this camera is in Orange County, California, USA. Live Cam 3 – Esta câmera encontra-se no Itamambuca EcoResort na cidade de Ubatuba, litoral Norte de São Paulo. Sudeste do Brasil. Live Cam 4 – Mantida pela World Land Trust (WLT – UK) esta câmera encontra-se na Reserva Buenaventura, Provincia El Oro no Equador.